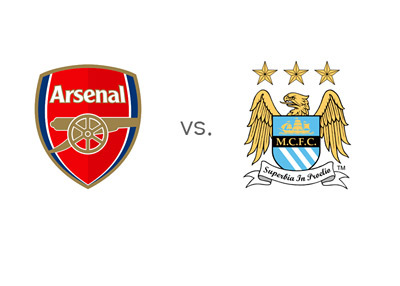 Next stop on the Manchester City title quest is the Emirates Stadium in London where they meet Arsenal on Saturday, March 29th, 2014. After getting their butts kicked at Chelsea last weekend (6-0), Arsenal split points with Swansea (2-2) at home on Tuesday and officially dropped out of the title race this season. They are now in fourth place, six points behind first place Chelsea, and have Everton to worry about when it comes to qualifying for the UEFA Champions League next season. Man City are in second place, three points behind the leaders, with two games in hand. Manchester City disposed of Manchester United 0-3 at Old Trafford on Tuesday, days after they demolished Fulham 5-0 at home. Nine games are left in the season for City and Manuel Pellegrini's men aim to win them all. If they succeed, they win the English Premier League title. Man City are the favourites to win. They are playing well, they are focused and fun to watch. For the sake of entertainment, let's hope Arsenal turn it on in this one. The kick-off is at 6:30pm local time.